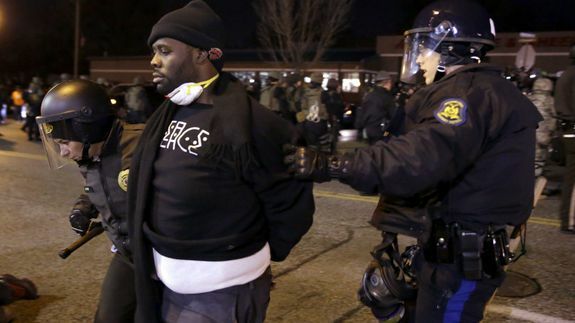 #Ferguson roundup. 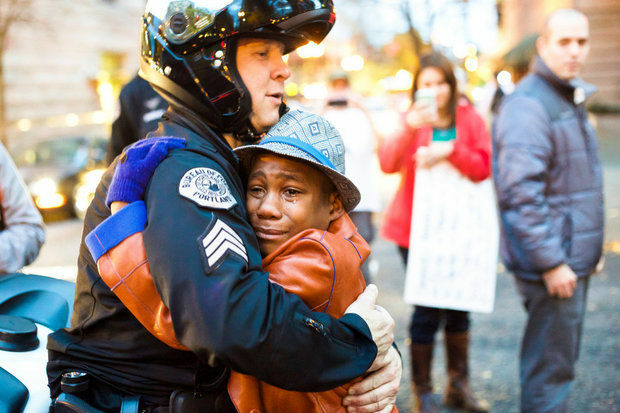 White cop, black boy hug at Portland.. In Ferguson, Missouri, protests over a grand jury decision not to charge a white police officer who fatally shot an unarmed black teen are taking place at Black Friday sales. 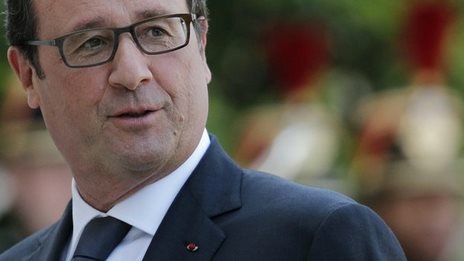 16 arrested in Ferguson as protests continue across the U.S.
Five members of the French president’s staff are reassigned as police investigate photos taken of Francois Hollande with an actress inside the Elysee Palace. The big speech has been delivered – you can read our response here, but below we round up the reactions from around Europe – remember, the changes Cameron set out today based on Open Europe’s research will require agreement from other EU leaders. Swiss voters reject a referendum proposal to sharply cut immigration, according to projections from partial results on national TV. 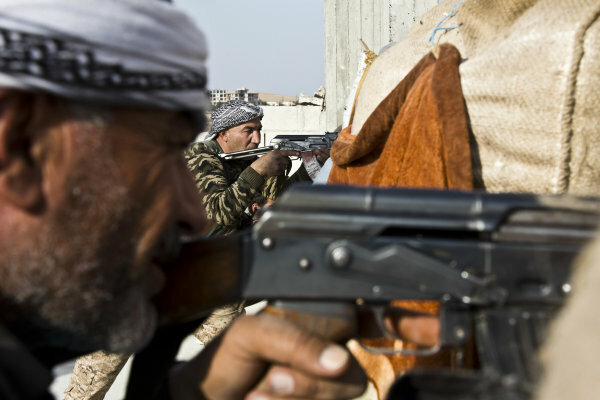 Project Syndicate by Henrik Enderlein, et al. With European growth barely visible, and dangerously low inflation causing real interest rates to rise, the weight of public and private debt has grown very heavy, and another lost decade may be at hand. France and Germany – which largely drove European integration for more than six decades – must not resign themselves to this fate. Turkey’s Constitutional Court is considering applications that call for lifting the 10 percent threshold in the Turkish election system, according to Constitutional Court head Haşim Kılıç. Shrugging off disputes that could have wrecked other relationships, the strongmen leaders of Russia and Turkey are pursuing a tight alliance at a time of chilly relations with the West. Russian President Vladimir Putin meets Turkish counterpart Recep . The pope’s visit to Turkey is considered a message of solidarity with the Ecumenical Patriarchate of the Orthodox Church, which represents nearly 300 million Orthodox Christians worldwide. 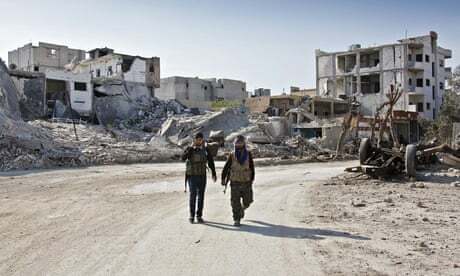 BEIRUT (AP) — The Islamic State group launched an attack Saturday on the Syrian border town ofKobani from Turkey, a Kurdish official and activists said, although Turkey denied that the fighters had used its territory for the raid. David Klein from Drexel University interviewed Dr C. Akca Atac for ‘Changing Turkey in a Changing World’ followers. Dr. C. Akca Atac is an Associate Professor of Political History at Çankaya University in Ankara. She di d her PhD in History at Bilkent and pursued postdoctoral studies at the UCLA. She has publications in journals such as History of Political Thought, Turkish Studies andPerceptions, and she has contributed chapters to books published by Brill, I.B. Tauris and Honore Champion/Paris. She won second place in the 5th International Sakıp Sabancı research Awards in 2010. Her latest article which is a comparative reading of Niall Ferguson, Amin Maalouf and Ahmet Davutoğlu with respect to their takes on civilization is currently under review for publication. The European Parliament voted on Thursday in a non-binding resolution to separate Internet companies’ search engine business from other commericial activities. This could lead to Google being split up. Some commentators praise the Parliament for countering Google’s abuse of its market dominance. Others call for concrete steps against the US company, for example in the ongoing antitrust dispute. On the eve of two of the most momentous events of his young tenure as European Commission president – Thursday’s failed vote of no confidence against him in the European Parliament and Friday’s long-awaited decision on whether to sanction France or Italy for failing to comply with EU budget rules – Jean-Claude Juncker sat down for his first interview since assuming office with a small group of European newspapers in Strasbourg. In the first six months of 2014, banks reclaimed over 26,500 homes. The dream of owning one’s own home has, for many, turned into a nightmare of foreclosures, evictions, and over-indebtedness. Carmen Martínez Ayuso, who is 85 years old, was evicted from her home of 50 years in Madrid on November 21. Her eviction provoked outrage, pledges of support by the neighbourhood football club, and scrambling by authorities to save face. We’ve laid it out in our response today, but in an attempt to elucidate things we’ll go into a bit more detail in this post. In addition to the general ‘fairness’ discussion – making sure that there’s a link between what people put in and what they take out – the debate is now centred on the practical impact of the proposals. The European Commission on Friday (28 November) presented a new proposal for the 2015 EU budget, after member states rejected it on 17 November. However, the new proposal is almost identical to the former one, and there is little chance that the institutions will come to an agreement. 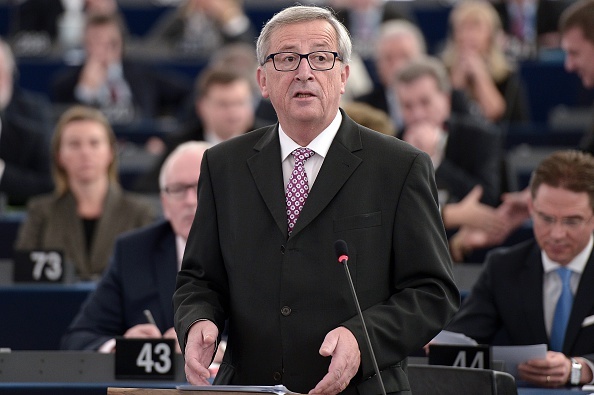 The long-awaited European Fund for Strategic Investments was unveiled yesterday (25 November). The EIB, who will be investing 5 billion euros, hopes to wave its magic wand to mobilise 315 billion, without dipping into the Commission budget. EurActiv France reports. Prime Minister Viktor Orban still dominates Hungary’s political scene, in spite of recent large demonstrations in Budapest. But his political reforms and economic and foreign policies are raising more and more questions abroad as well as at home. If Orban thinks he can ignore such criticism, he is wrong: Hungary’s economic development depends on its Western partners. In view of the widespread poverty, unemployment and suffering of refugees, Pope Francis called on Europe to remember its fundamental values in an address to the EU Parliament on Tuesday. In Strasbourg the pontiff made an appeal for more European integration and encouraged politicians to believe in change, commentators write. 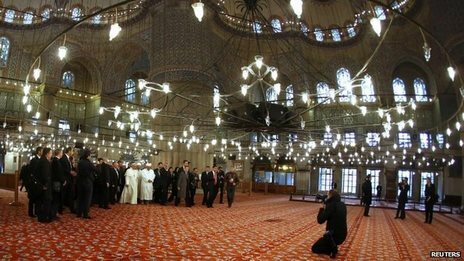 Pope Francis stands in “silent adoration” in Istanbul’s Blue Mosque alongside the city’s top Muslim cleric, on the second day of his Turkey visit. 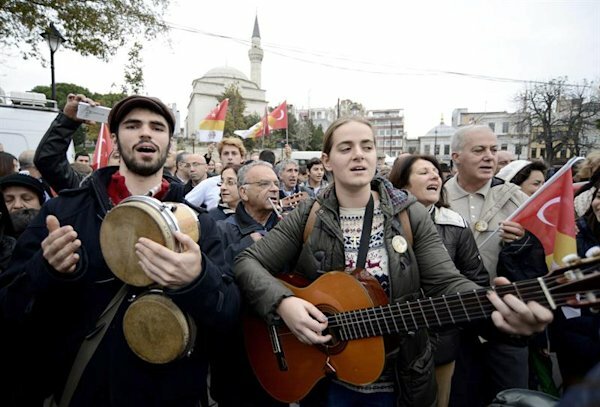 Mark Lowen reports from Istanbul in Turkey on a visit by Pope Francis to the historic city. The Turkish city of Istanbul recently made a bid to become the Europe’s Green capital for 2017. But the move has left many locals scratching their . The most comprehensive exhibition of photographer Şahin Kaygun, is on display atIstanbul Modern. The show features the original prints of Kaygun’s . A photo from “About Looking,” Turkish director Nuri Bilge Ceylan’s new solo exhibition, which opened on Tuesday at Dirimart gallery in İstanbul. İstanbul Mayor Kadir Topbaş has vetoed a transformation project involving the Yedikule Gardens, a green area which sits at the foot of İstanbul’s . The İstanbul-based Asar-ı Atika antique art gallery and auction house is organizing the sale, set for Sundayafternoon, at the Conrad İstanbul hotel. Seoul will have the opportunity to cast its gaze on the “Eye of Istanbul” for the near future with the opening of a new exhibition of 110 vintage photos by . Not since 2004 has the world-famous Kronos Quartet appeared in İstanbul. For their once-in-a-decade performance, they brought eight .